Tangled Thorns Passion Bracelet by Alchemy Gothic. 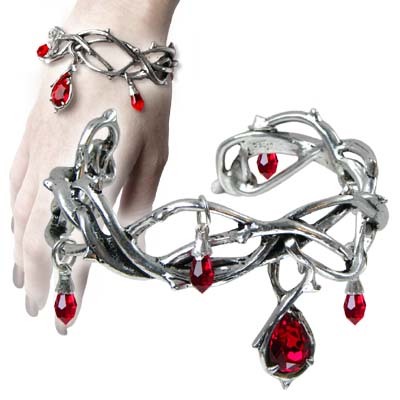 This Alchemy gothic Passion bracelet is made to look like a tangled cuff of bloody thorns. The Passion bracelet is encrusted with Red Swarovski crystal drops, which look like drops of blood. Make someone happy with this great gift of the passion bracelet , a classic piece of jewellery from Alchemy Gothic. 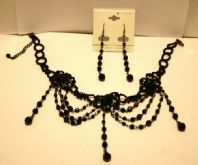 The bracelet is made from fine English Pewter. Long Black Stretch Net Gloves .